The Emir of Kano, Mallam Muhammadu Sanusi ll, on Monday refuted the allegation of squandering N6bn from the coffers of the emirate. 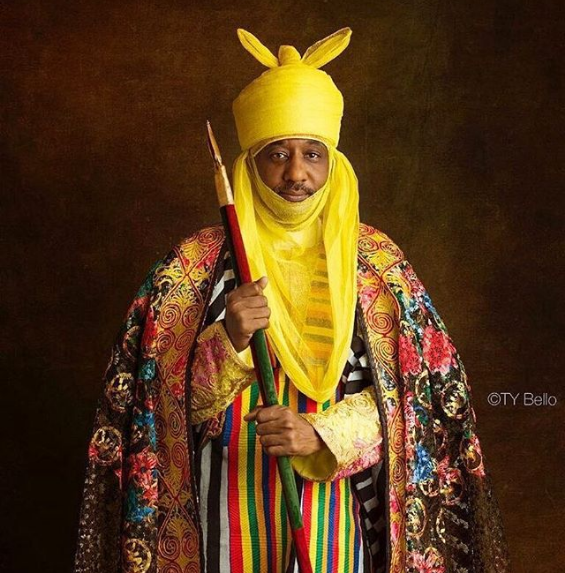 Addressing a press conference at his palace, Sanusi said contrary to the allegation, he never inherited such amount from the late Emir, Ado Bayero. Speaking through Walin Kano, Alhaji Mahe Bashir Wali, the Emir said late Ado Bayero left behind only N2.9bn. The Kano State Emirate Council also denied claims that the emir, Muhammadu Sanusi II spent N6 billion of the emirate’s fund since he assumed office. Walin Kano, Bashir Wali, told reporters that the emirate has only spent N4.314billion since Mr. Sanusi emerged emir in June 2014. Mr. Wali, who provided some details of the expenditure, also explained that Emir Sanusi inherited N1.9 billion (exactly N1.893,378.927.38) and not N4 billion as stated in some media reports.